View More In Impact Drivers. Convenient 1/4" hex chuck for quick bit changes. Soft grip handle provides increased comfort on the job. Makita 12V max Lithium-Ion batteries provide longer run time and lower self-discharge. The charger earned the ENERGY STAR® label for meeting the strict energy-efficient guidelines set by the EPA and DOE. Kit includes: 2 ea. 12V max Lithium-Ion Battery (BL1014), 1 Battery Charger (DC10WB), Tool Case (824842-6), Tool Holster (168467-9) and #2 Double Ended Phillips Bit. 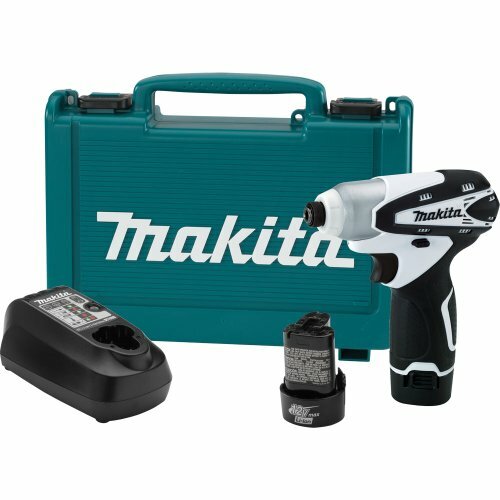 If you have any questions about this product by Makita, contact us by completing and submitting the form below. If you are looking for a specif part number, please include it with your message.